Easter is right around the corner! 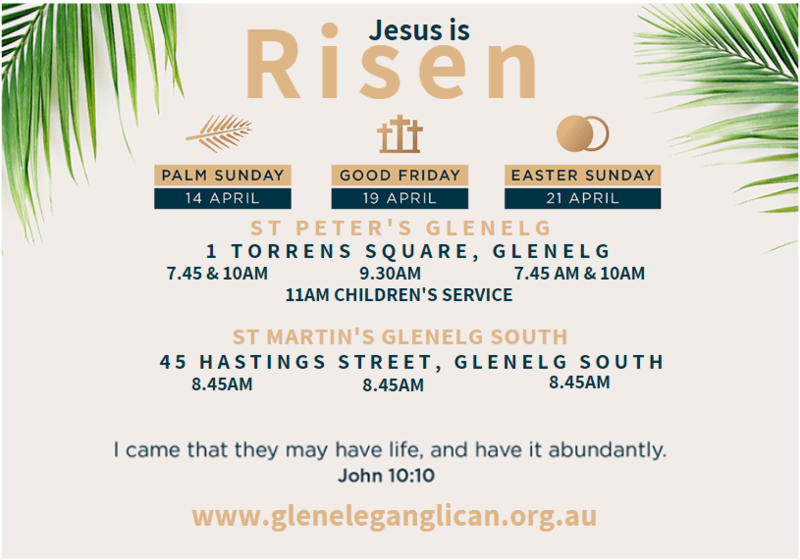 Join the people and the community of the Anglican Parish of Glenelg for one of their many services during Holy week 2019. In Holy Week this year, in addition to the services held on Palm Sunday, Good Friday and Easter Sunday, there will be two Passover meals. 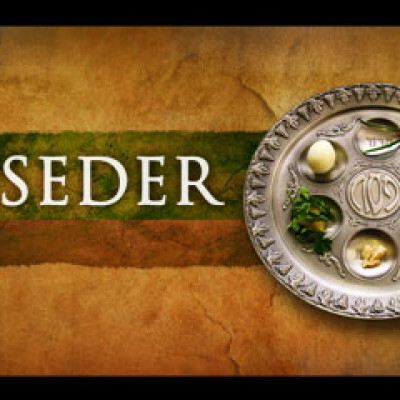 Thursday 18th April in the St Peter’s Community Centre from 6-8pm we have Seder meal, which is feast that includes reading, drinking wine, telling stories, eating special foods, singing, and other Passover traditions. The night includes foot washing and stripping of the church. The Easter vigil in the St Michael’s chapel commences at 8.30pm through to 10.30pm. 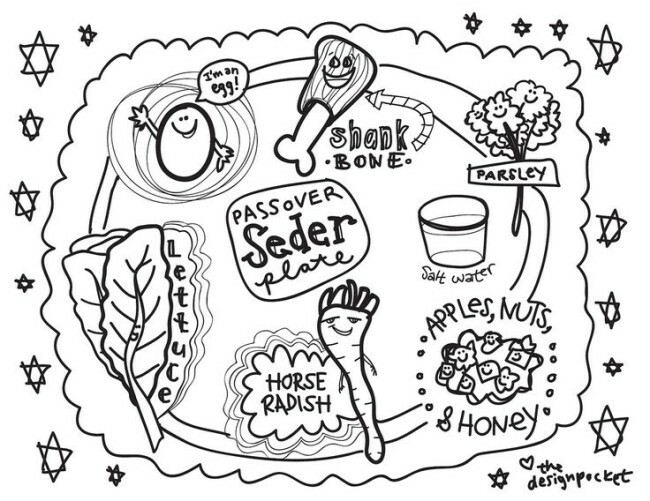 This Passover meal is family friendly occasion on Sunday 14th April from 4.30-6pm, we’ll have our own version of a Passover Meal, where we learn the significance of each item of the meal. We’ll eat, sing and pray too. Join us in the Community Centre for the meal.